For your convenience, "drop-off" appointments are available. "Drop off's" need to arrive at the clinic before noon to ensure our veterinarians have adequate time to evaluate your pet and perform any needed diagnostics or treatments. Once the doctor is done, they will give you a call to go over the diagnosis and to give you discharge instructions. For the safety of all animals in our care, we require that all vaccinations be up to date and that all animals be free of both internal and external parasites. 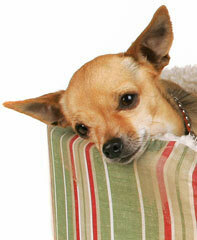 Pets observed to have fleas or ticks will be treated at their owners expense.